“It didn’t matter to Ray if they were for or against the war. He just couldn’t take listening to someone who hadn’t been there. 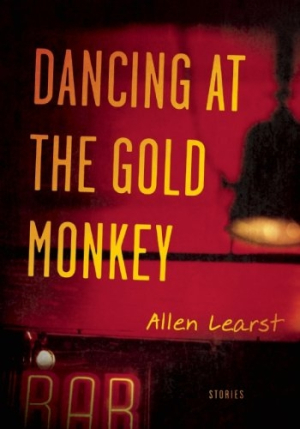 They didn’t belong to the same fraternity, the one that had taken his youth and made him bitter before he was old enough to legally drink.” Ray is one of five Vietnam vets trying to acclimate to life at home in Allen Learst’s haunting collection of linked stories, Dancing at the Gold Monkey. Though the flashbacks rumble throughout Vietnam—from the eerie quiet of mass graves to doped-up laughter at a bunker in the Central Highland Mountains to the blue green waters of the South China Sea, where the body of a downed naval pilot is discovered—many of these stories are set in postwar Detroit. Characters wander by lakes, down city streets, and in a variety of grubby neighborhood bars. With guns. There are always guns. Dancing at the Gold Monkey, winner of the 2011 Leapfrog Fiction Contest, is short enough to be read in one sitting, but that doesn’t, by any stretch, make these characters and their lives forgettable. Allen Learst, a Vietnam veteran, is now a senior lecturer at the University of Wisconsin.